In Episode 2 of WBUR’s “Dear Sugar” podcast, host Cheryl Strayed (also the author of the New York Times bestselling memoir Wild, which is now a major motion picture starring Reese Witherspoon) answers the question of a listener who wrote in to ask for advice about her self-esteem and body image after having endured a verbally abusive relationship. Why isn’t this statement more shocking? Well, probably mostly because it’s true. For example, in 2011 Glamour magazine surveyed more than 300 women about their bodies and 97 percent of respondents said they had at least one “I hate my body” moment every day. Clearly this is a common issue, and especially for women (although men struggle with it,too). But why is body image such a common and complicated struggle and, aside from recognizing that Photoshopped media is the norm now, what can we do to improve the way we see ourselves? Most experts that I asked said the first step in developing a better image of yourself and your body is to work towards acceptance. Jennifer Erickson, MS, a National Certified Counselor says that you have to start by learning to love and accept yourself the way you are right now. “We should not be afraid to treat ourselves with kindness,” she said. Of course, practicing acceptance is much easier said than done, right? This is a wildly successful, brilliant best-selling author admitting that maintaining a positive body image isn’t easy, so accepting the fact that it’s going to be a challenge is probably also a good place to start. But where do you go from there? Jennifer Lombardi, MFT, fitness trainer, and executive director of Eating Recovery Center of California offers the following important steps. Practice self-care: “Take care of yourself first and invest your time in doing things that bring out the best and healthiest version of you, such as starting up a new exercise routine or class and taking on healthier eating habits,” Lombardi said. “Take some alone time away from the kids or away from work to reboot yourself.” She also mentioned that taking care of your mental health is equally as important. “Nurture your soul by doing little things like taking a walk to just enjoy the scenery, trying a new art class with friends, or even treating yourself to a spa day to make sure your mind is equally well taken care of,” she added. To build on these ideas, Charmaine Jones, a Registered Dietitian Nutritionist who shares nutrition and wellness tips on her blog FoodJonezi.com, offers the following advice. “Accept that a ‘perfect’ body sometimes is not attainable, important, or healthful,” she said. It might sound cliché, but she reminds us that we have to acknowledge the fact that beauty is more than skin deep. 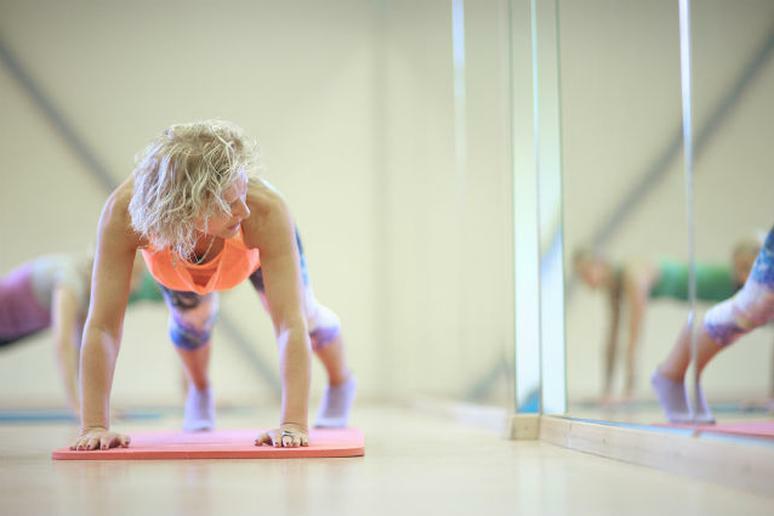 On a note similar to placing your focus on skills and talents, Laura Williams, founder of Girls Gone Sporty and an ACSM-HFS certified fitness professional explains how exercise and fitness can help to improve your body image. She explained that when you reach a new milestone and feel like you’re getting better, your actions can help to reaffirm your self-worth. “You start feeling more confident and more resilient,” she added. She also said that her online boot camp incorporates a mental focus because she wants to show her clients that the brain is often their biggest obstacle. In her podcast discussion, Strayed offers advice that mimics what Lombardi, Jones, and Williams all suggest. But perhaps the fact that she admits it’s something she continually has to work on is the most important part of her point.